This pretty Swarovski vintage crystal is beyond gorgeous! Circa 1950 truly one of a kind. 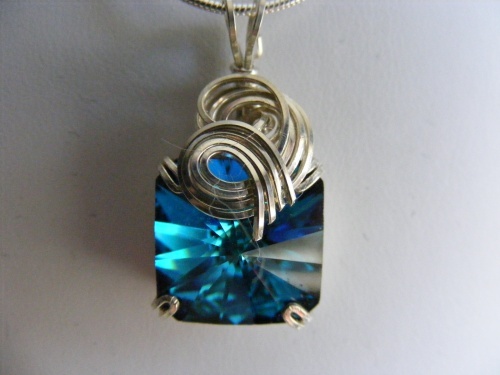 When you look in the stone it feels like you are going into a depth of blue. Sculpted on sterling silver curls this piece measures 1" long by a little over 1/2" wide. Comes with a sterling silver snake chain.